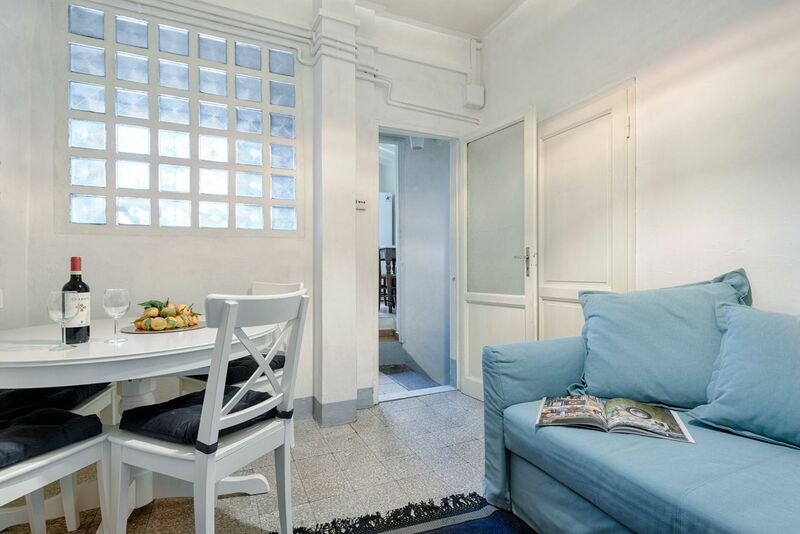 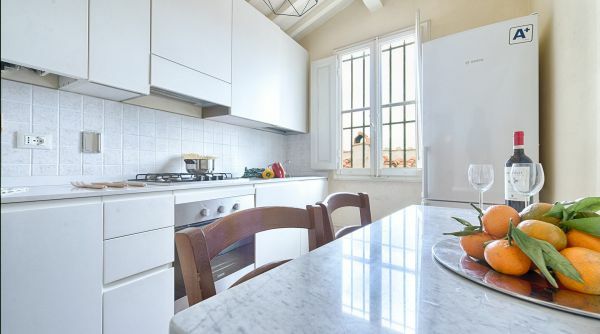 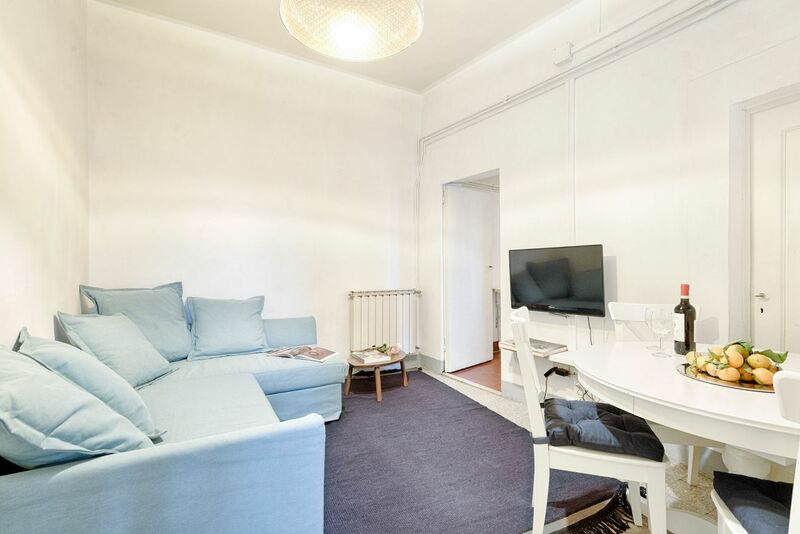 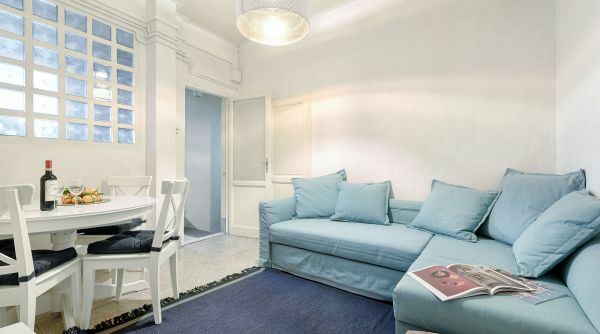 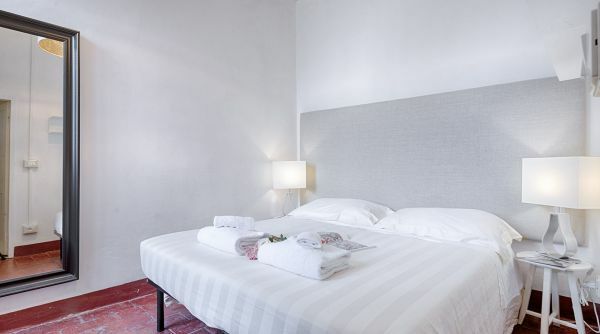 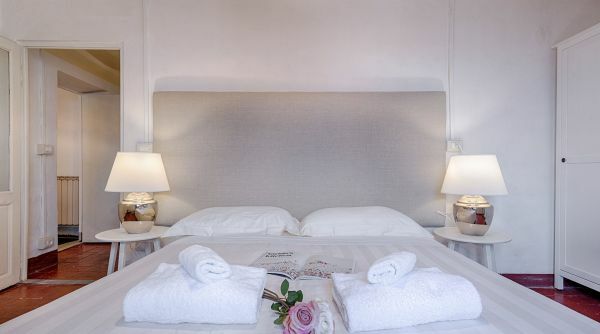 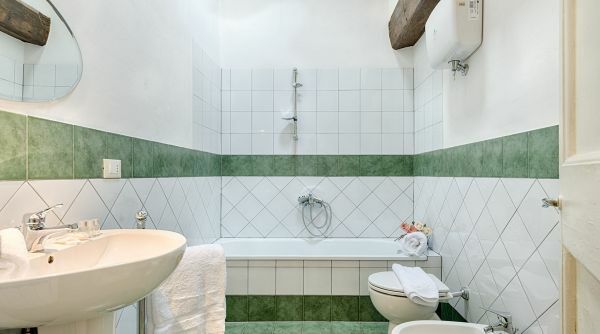 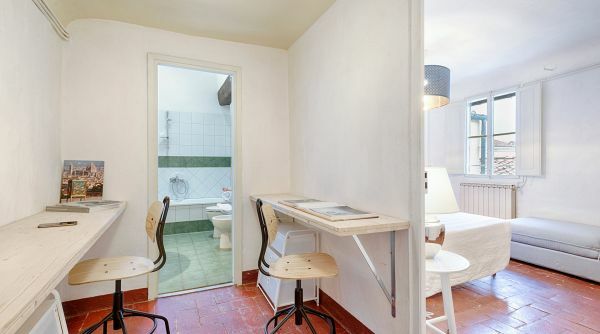 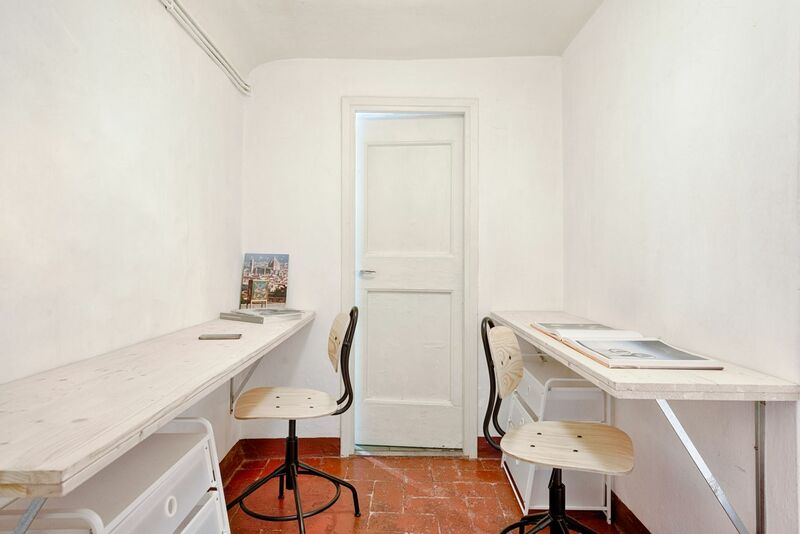 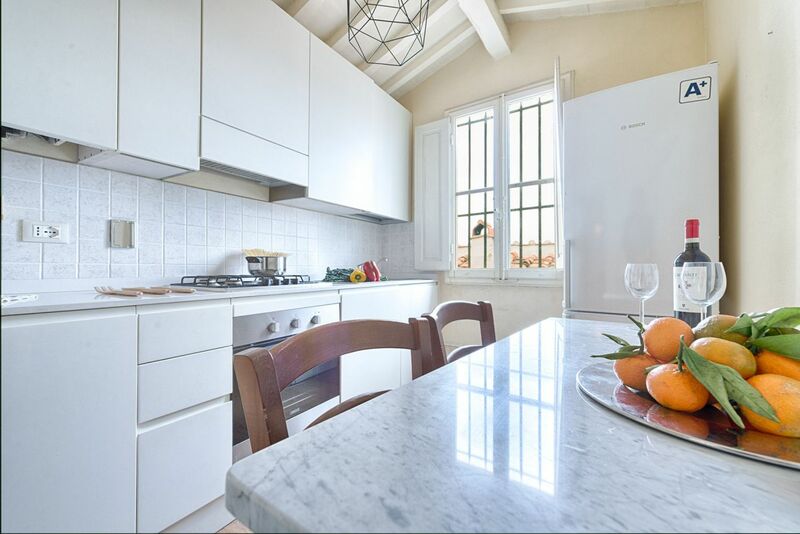 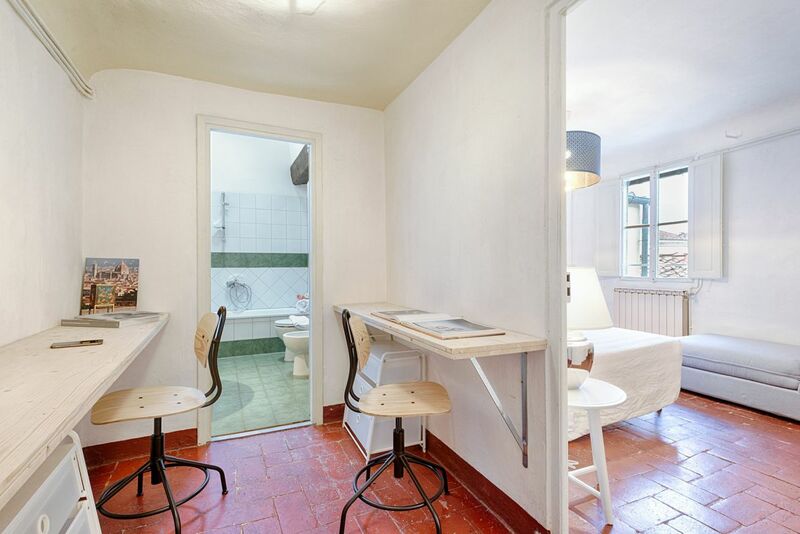 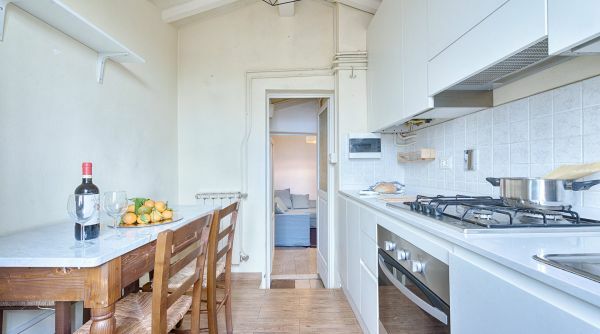 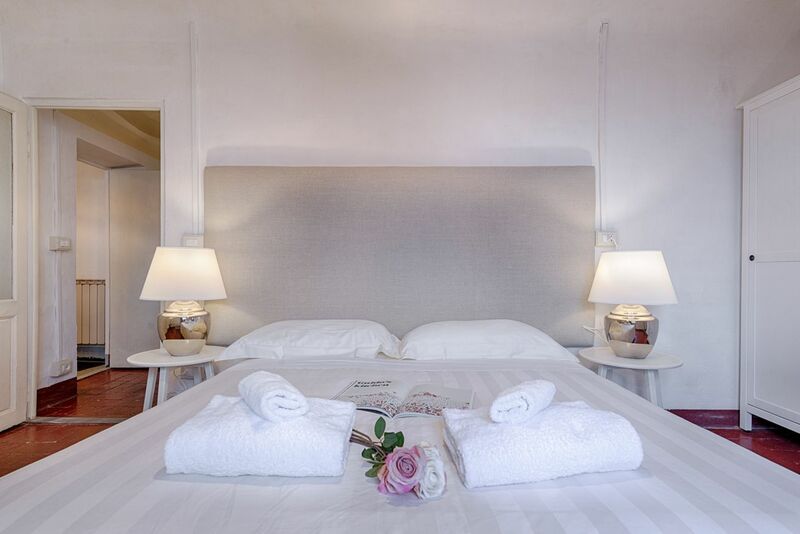 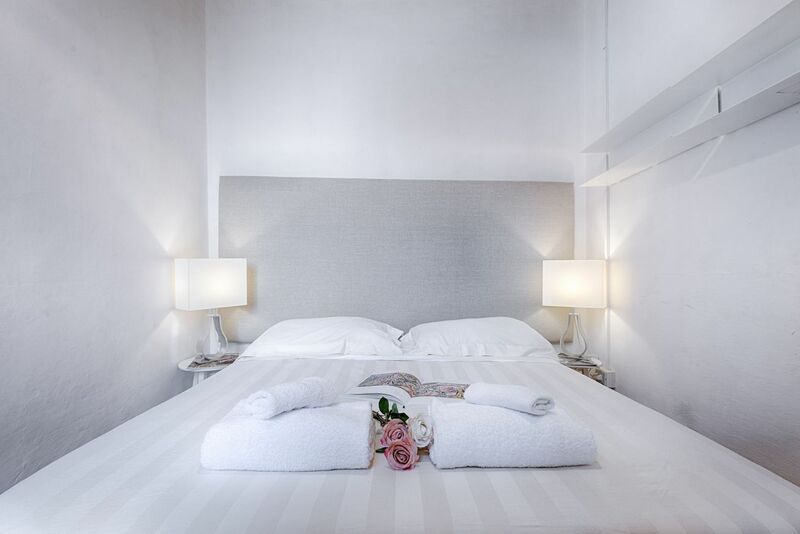 Santa Signoria is a beautiful modern apartment located in a historical building in Borgo Albizi in Florence. 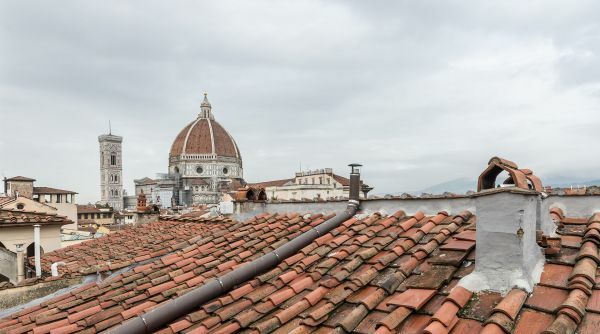 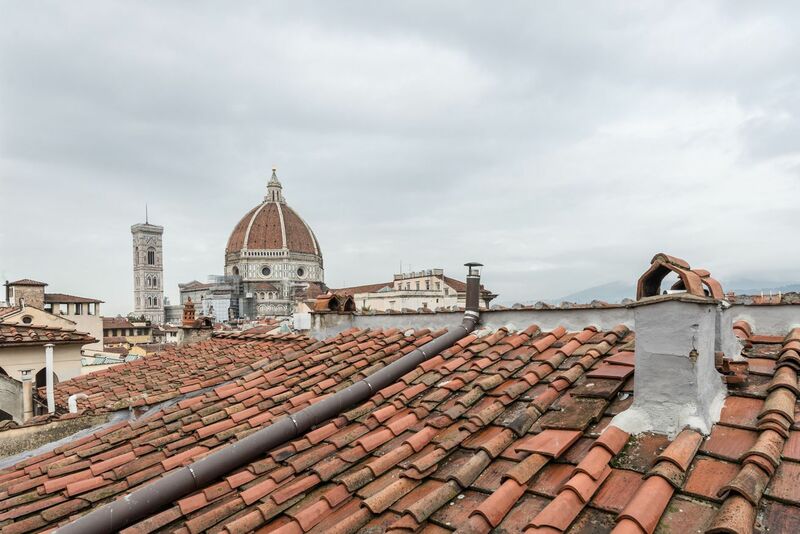 The house is on the third floor, with elevator, and enjoy a very nice view: from its windows you can admire the dome of the Duomo of Florence. 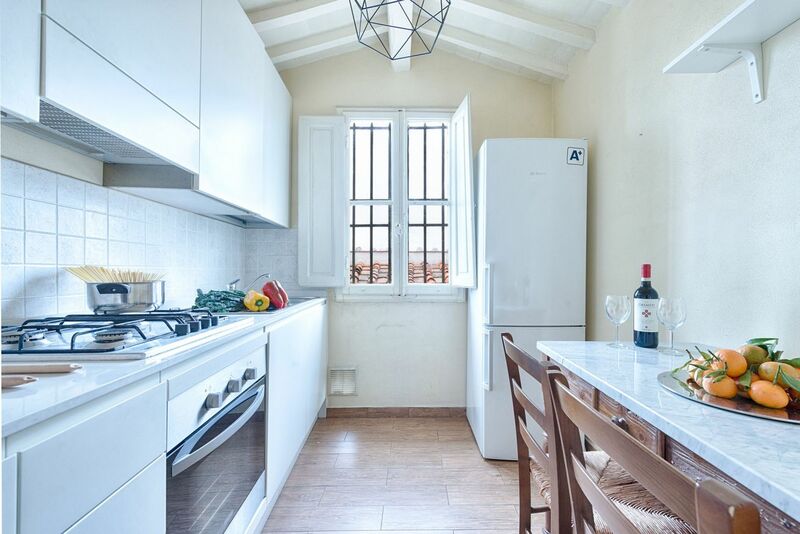 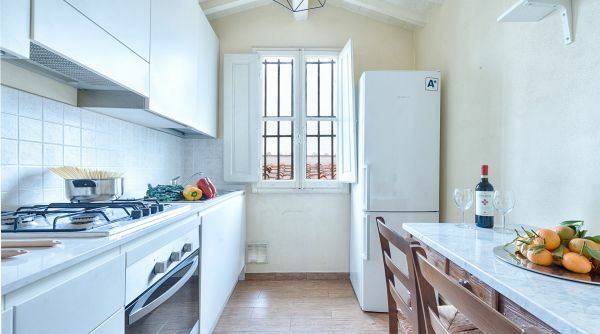 This property can comfortably accommodate up to 7 people and is composed by two bedrooms (one triple and one double), a full bathroom with tub shower, an equipped kitchen and a nice living room with double sofa bed and TV. 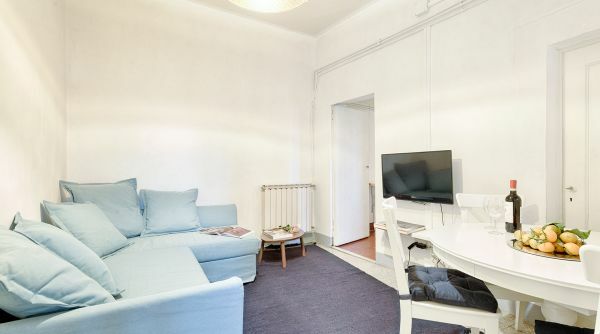 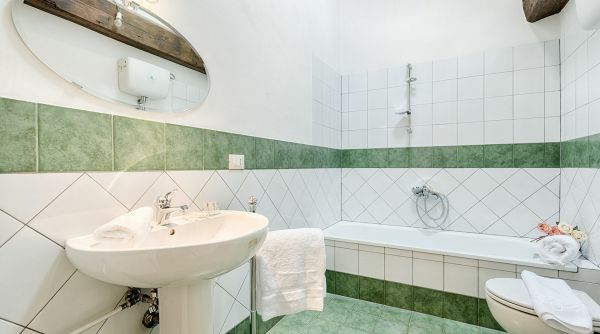 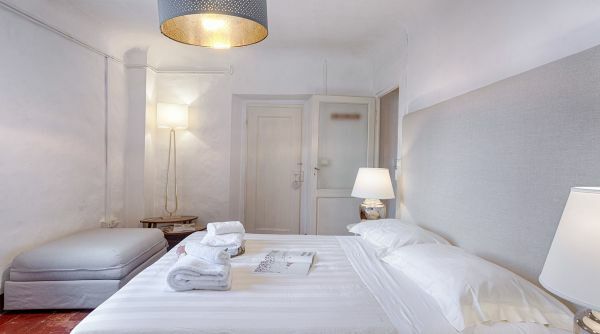 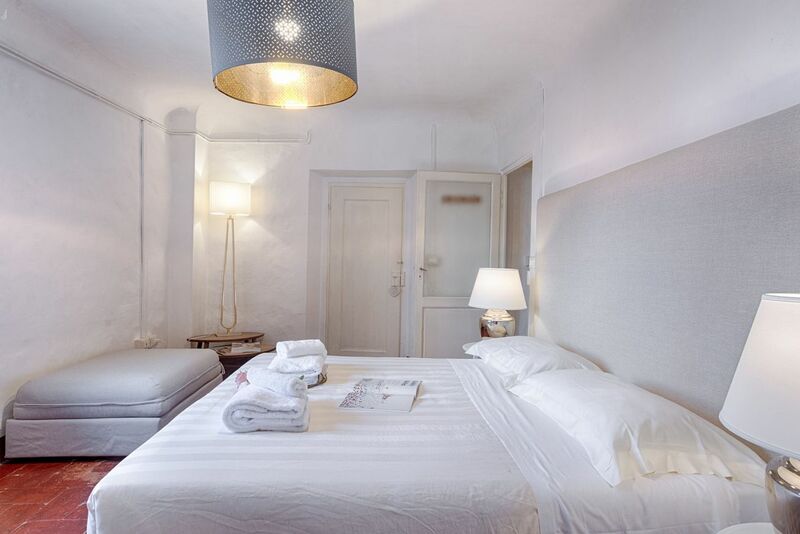 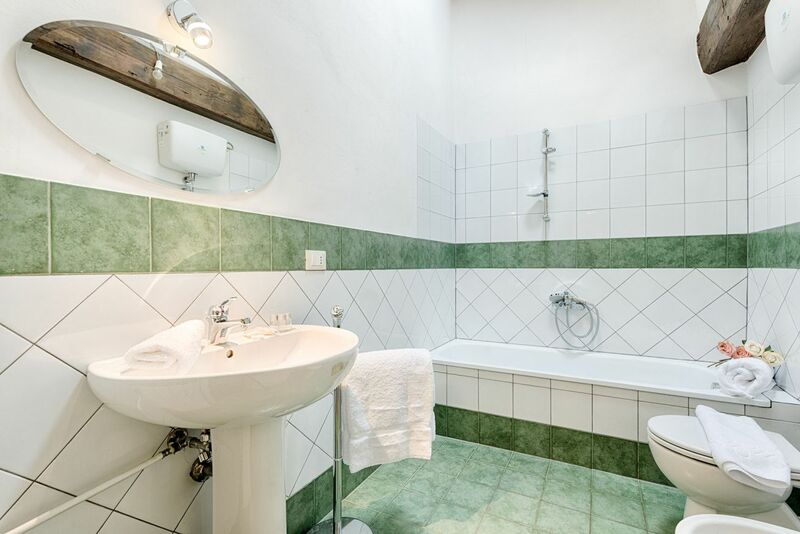 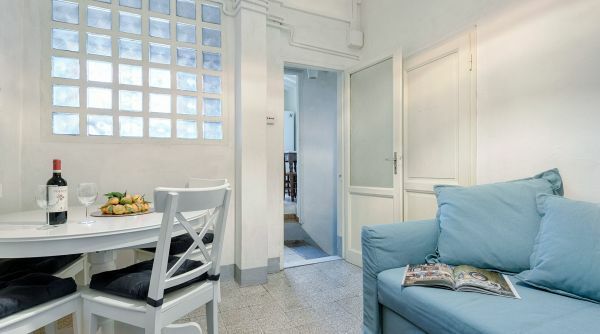 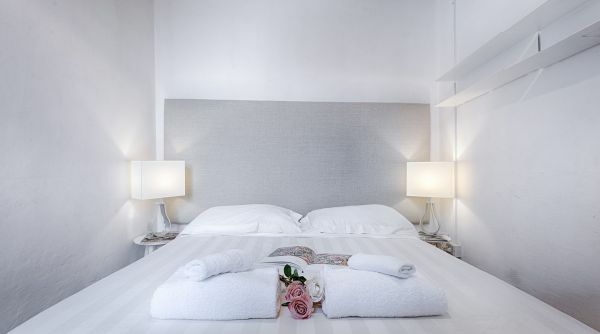 The apartment was recently renovated and is provided with every comfort to grant you the best possible stay: here you'll find internet Wi-Fi, TV and independent heating. 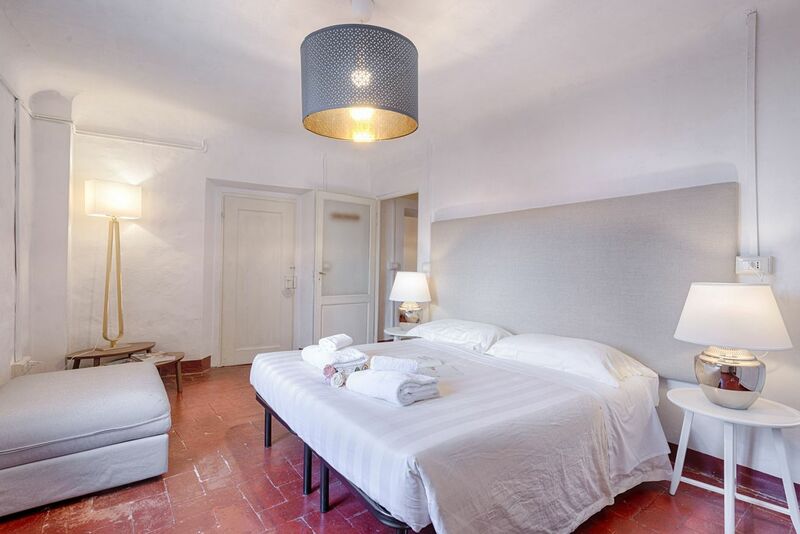 An excellent chioce both for large families and big groups of friends! 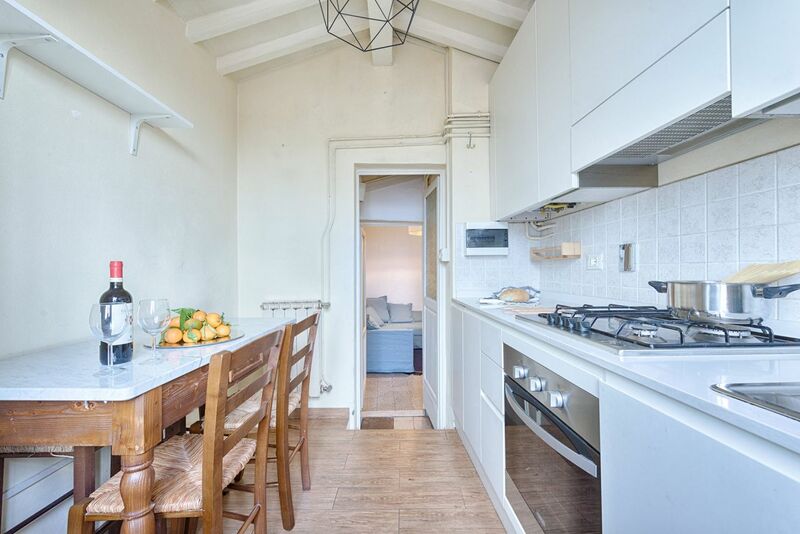 Santa Signoria is in Borgo Albizi in Florence, a very elegant street full of historical palaces as the adjacent Casa-Torre degli Albizi. 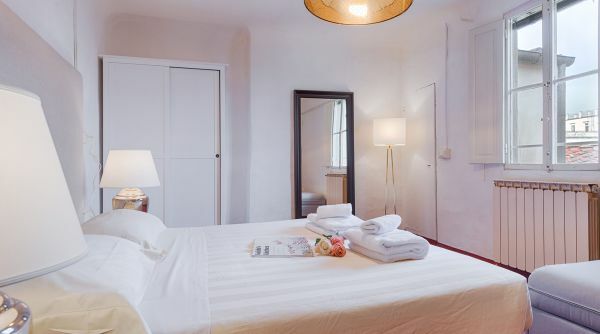 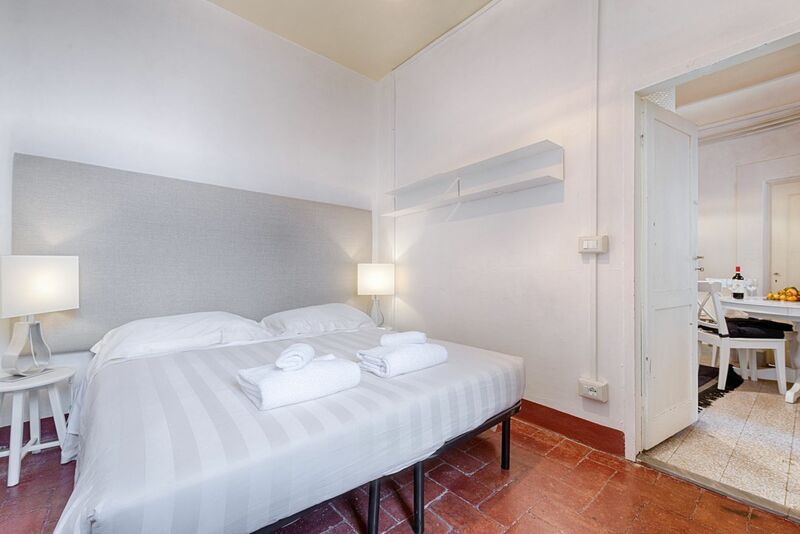 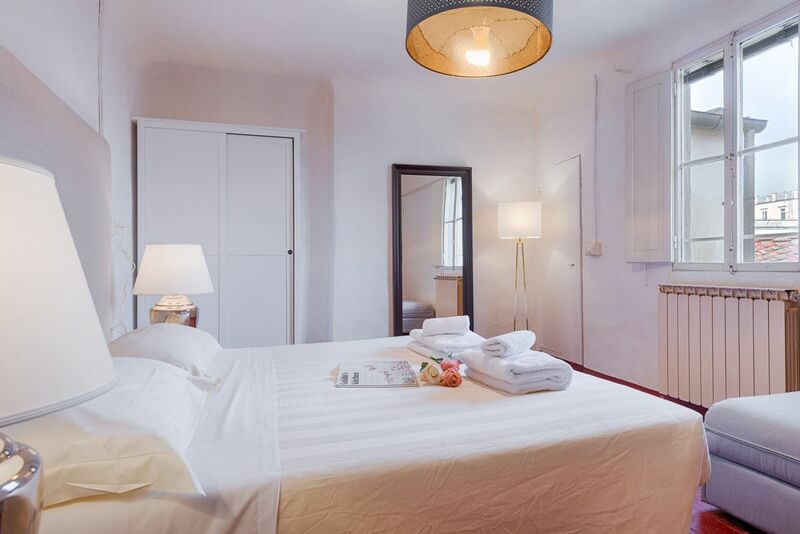 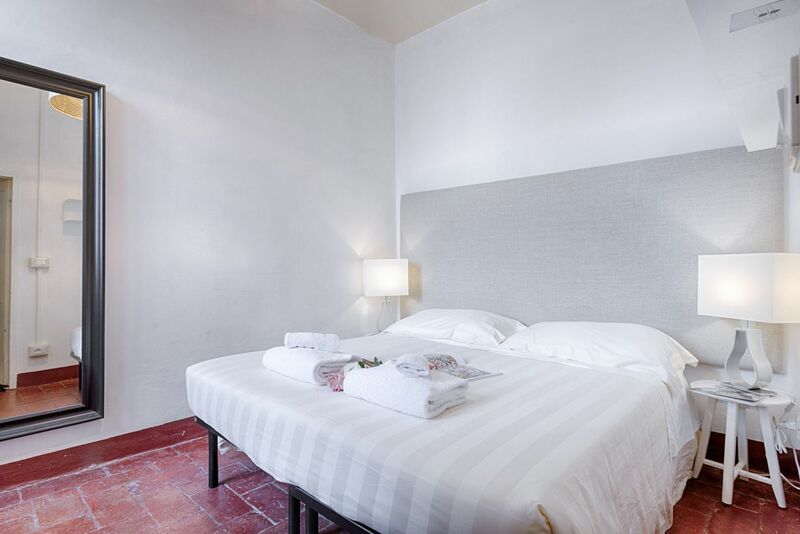 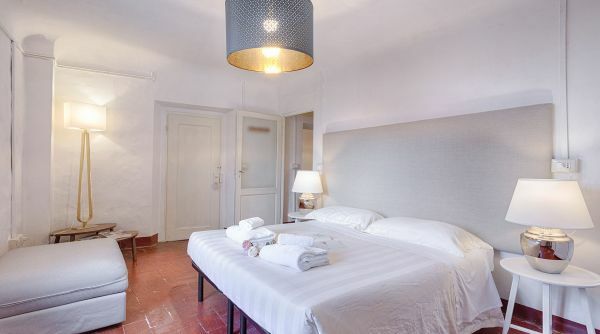 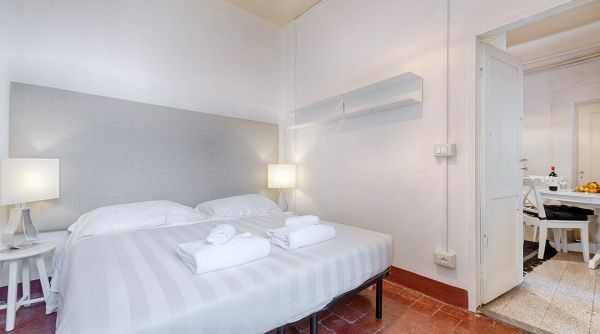 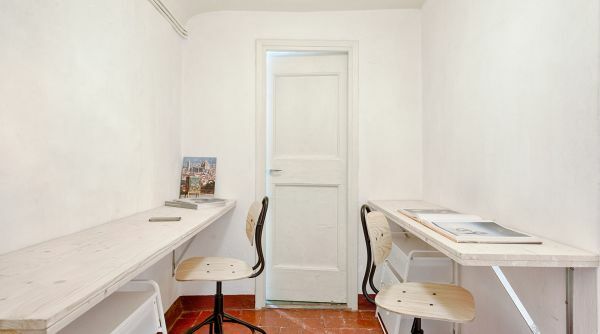 The position is very central because we are only 5 minutes walking to the Duomo, Palazzo Vecchio and the Cathedral of Santa Croce: the ideal place for who wants to visit the monuments of the city. 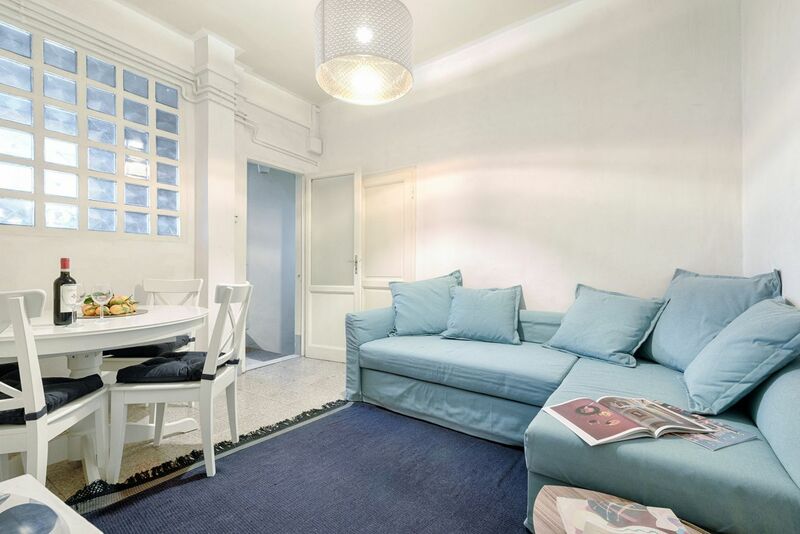 The big availability of beds and the many amenities, make this home a great choice.